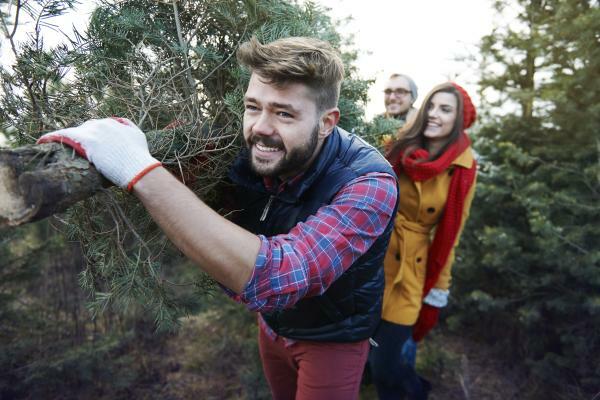 Celebrate the holiday season like local by chopping down your own Christmas tree! The holidays are coming and you want to switch-up your annual routine. Maybe you are looking for an adventurous date or a fun group activity? Try chopping down your own Christmas tree this year. This is a challenging yet rewarding day-trip that you can do with the whole family. Christmas tree permit - only $5! Venture into nearby national forest lands to hunt for your perfect tree. Try the Willamette National Forest, Umpqua National Forest or Siuslaw National Forest in the Eugene, Cascades & Coast region. Before heading out, stop by the Eugene, Cascades & Coast Adventure Center to pick up a Christmas tree permit and map. The $5 permit allows for the removal of one tree less than 12 feet tall on National Forest Land. Five tree permits are allowed per household. Need inspiration? Watch the video below of some of our past staff members chopping down their very own Christmas tree. Happy Tree Hunting! The following restrictions are designed to maintain scenic quality, prevent erosion and protect our resources. Christmas tree cutting is prohibited within 50 feet of trails and paved roads, within 300 feet of campgrounds, and within 100 feet of streams. No cutting is allowed in fenced plantations. Please do not cut in areas which are posted, "Christmas Tree Cutting Prohibited"
Please keep all debris at least 50 feet from roadways. Five-needle pines, sugar and white pines are protected. Please do not cut any of these. Prefer a Christmas Tree Farm? Head over to Northern Lights Christmas Tree Farm for both pre-cut and u-cut tree options.